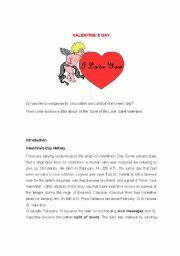 I´m an English teacher here in Brasil, is a pleasure to join to this community and share our lesson plans. Great idea!! A multiple choice test. 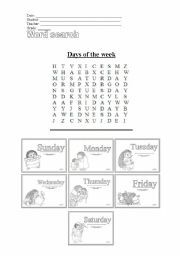 It´s not difficult ,students can do it without problem.Hope be useful. 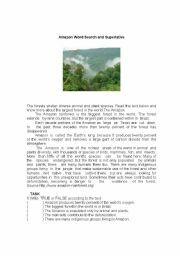 Here students will know about the importance of lung´s Earth: Amazon Forest and practice the superlative form. 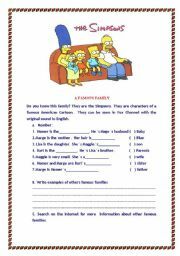 A worksheet that associates family vocabulary to the literature texts. This acitivty could be better used with cartoon video. Kids will love it. 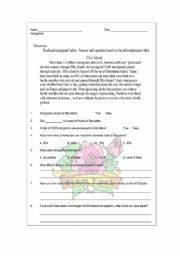 A reading activity that explain immigration to the USA through Ellis Island. 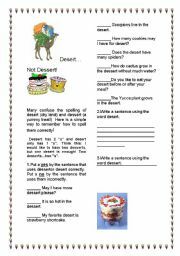 A worksheet to practice and review spelling "desert" and "dessert and related vocabulary words. 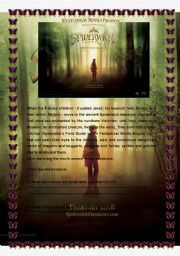 Interesting movie directed by mel Gibson, released in 2006, it narrates the saga of a Mayan young man and his bravery. 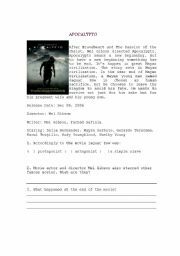 Is interesting work this movie with History teacher of your school. A song of the popular group Pussycat Dolls, teenagers will love it.